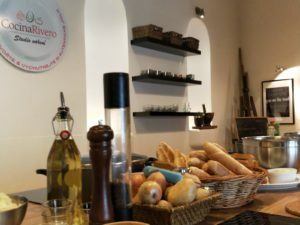 Cocina Rivero teaches, creates, and introduces you to authentic, exotic and traditional cuisines of the world in a very friendly and enjoyable way. 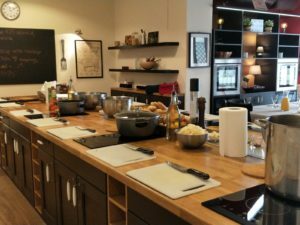 Cocina Rivero Cooking School was born with the idea to teach Czech and foreign “foodies” traditional and ethnic cuisines such as Mexican, Argentinean, Spanish, Arabic, and Pan Asian to mention just a few. Our purpose is to have fun while you learn or strengthen your culinary knowledge. You will be able to surprise your friends and family with new and exotic recipes to an affordable price. You will soon discover recipes which are rarely found in restaurants around Prague. Authenticity is our key objective and in order to achieve your satisfaction, we have a group of native chefs with local experience of the cuisine they teach. In short, you save time traveling since we bring you exotic local tastes to Prague. 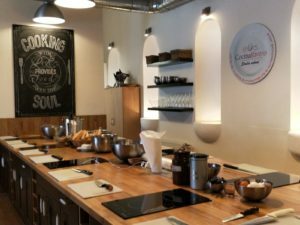 If you consider yourself a “foodie”, you definitely know how hard is to find good restaurants in Prague at an affordable price, so why not give yourself a chance to learn new ways of cooking and replicate recipes that you never imagined you would be able to create. 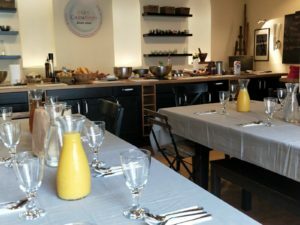 The courses we organize are dedicated to everyone who enjoys spending time in the kitchen. You do not have to be an expert in gastronomy or have any previous experience. Courses are developed per occasion, which means that you have the freedom to collect the best one of the modules that piques your interest and curiosity. We provide you with all of the ingredients, recipes, equipment, and soft drinks. No need to bring anything or pay for extras on the spot. We cook great ideas so you can cook even greater recipes!